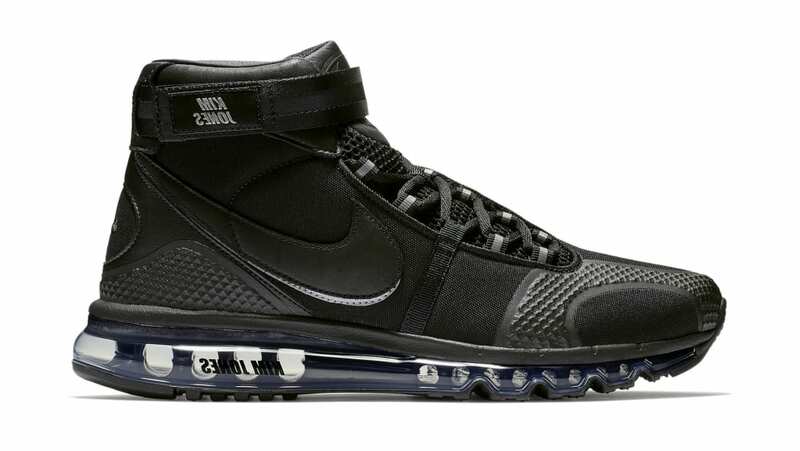 The second colorway releasing in the "Football Reimagined" collection from Nike, the Air Max 360 Hi takes on an all-black upper with hints of silver detailing on the Swoosh and eyestay. Kim Jones branding is also seen on the strap and on the clear air bubble. Release date is June 7, 2018 at a retail price of $200.